Adjusting to Stress Might Be Easier Than You Think! A recent study showed that chiropractic adjustments can significantly reduce the way our brains perceive stress. 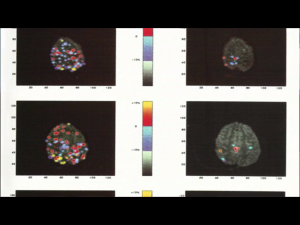 In an MRI, a brain subjected to stress lights up like a Christmas tree. Remarkably, after just a single adjustment, the same stress application barely lit up at all. It was more like an entertainment system on standby. This change illustrates the significant improvement in the how the brain perceived stress. Check it out! Stress is a normal psychological and physical reaction to the demands of life, which almost everyone experiences at some point or another. When our brains sense a threat, they release hormones to give us the burst of energy, we need to meet these demands. When we no longer need that burst of energy, the body is meant to return to a relaxed state. However, the endless barrage of stressors that comes with modern, urban living means that, for many of us, our “fight or flight” response system rarely shuts off. Running in a constant state of stress can have a significant effect on your health. Want to avoid this list? Of course you do! Your first step is to prioritize stress management. This belongs next to eating well and exercising regularly on your personal health list. The next step is to find a way to relieve the unavoidable stress. Don’t take up your spouse’s way or your sister’s; that will become another chore to feel guilty about not accomplishing. Find activities that bring you pleasure and peace. Some popular forms of stress relief include the practice of yoga, exercise, deep breathing, meditation, massage, and retreating to a quiet place. But if you are looking for a quick fix with an immediate result, try chiropractic!